This proposed and edited volume will be devoted to one of the most popular topics of modern ecological and environmental sciences. 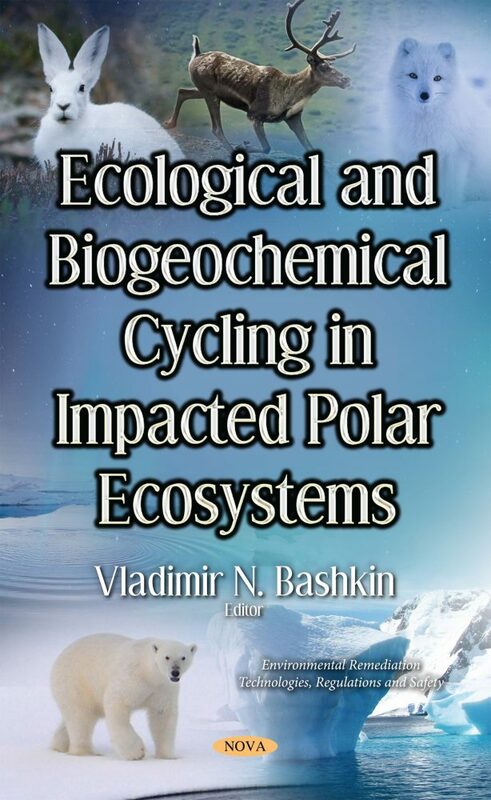 This book focuses on the alterations in ecological and biogeochemical cycling in impacted polar land and water ecosystems, where a significant part of natural gas and oil production is developing both in Russia and in many other countries. In the near future, these will make great progress. Founded on the field monitoring of various biogeochemical cycle parameters of polar ecosystems and relevant changes in ecological indexes and indicators, the authors suggest new biogeochemical technologies for assessing and managing environmental and geoenvironmental risks in severe climate conditions. This edited volume is devoted to one of the hottest topics of modern ecological and environmental sciences, i.e. to the alterations in ecological and biogeochemical cycling in impacted polar land and water ecosystems where at present the significant part of natural gas and oil production is developing both in Russia and in many other countries and in the nearest future these will be in the great progress. Being founded on the field monitoring of various parameters of biogeochemical cycles of polar ecosystems and relevant changes in ecological indexes and indicators, the authors suggest new biogeochemical technologies for assessing and managing environmental and geoenvironmental risks in severe climate conditions.